The Pink Roadrunner is located at 7220 Laster Ave NE, ABQ 87109. 1,700 SF home with three bedrooms and two baths enclosed garage and pet friendly backyard. The Pink Roadrunner is Senior Owned and Operated, cozy and warm. Perfect for senior living with easy access for bathroom facilities. Please ask owner questions about discounts, 575-517-7403. The home is fully outfitted with linen, dishes, washer/dryer, remote garage, and you don't have to worry you're in a crime free neighborhood. The homeowner's husband is a talented senior handyman and responds within 1 hour of any concerns. Very fast and prompt service. There is no cable TV. You would have to use internet to watch shows and movies. TVs with local antenna are in every room HDMI cord is available. Second time we have stayed here, always feels like our second home. Open, roomy and clean. Neighborhood is safe and close to everything. Highly recommend it! House is lovely and in a nice neighborhood...well stocked with all amenities. The home was spotless, the neighborhood quiet, and the location was perfect for the Balloon Fiesta. Several days we saw balloons floating overhead. Everything was just as advertised, and more. The furnishings were first rate and the place was well stocked. The two car garage was a real plus. Miss Ana contacted us in person to welcome us and then called after we left to see if our stay had been good. Very nice lady. We have already booked the house for next years Balloon Fiesta!! Overall this was an exceptional experience. The whole trip was wonderful largely because of the convenience of staying here! It is located close to everything we wanted to do. We went to the balloon museum and Petroglyphs and had plenty of time to play board games back at the house with our 4 kids! We had a great time. Conveniently located and quiet neighborhood! The RoadRunner was easy to find and we loved how close it was to several large shopping areas with restaurants. The neighborhood has a lovely little park and it was quiet. My family isn't used to the Albuquerque heat, so we made good use of all the box air conditioners (no central air)! The furniture was comfortable and the kitchen well-stocked if you're not planning to cook elaborate meals. Strangely, there was no toaster provided, but my brother had an extra one and we added it to the appliances in the pantry! :) Ana and her husband were quick to respond to questions about the house (much appreciated). Might save them effort if they had a house manual that they left on the dining table with the keys/garage opener (include info about the tv and dvd player, end of stay procedures). Mixed reviews on the beds. Lots of pillow choices (yea!) and the master bedroom's mattress was firm, but comfortable. The room with two single beds has a too soft/squishy mattress and a rock hard mattress (maybe ok for children). The remaining bedroom has a very firm mattress also (tough for side sleepers). Not a problem if you're only there for a couple days, but difficult if you're staying longer! Bathrooms were clean and the towels were thick. There is a washer/dryer. Thanks for including hangers in the closets. :) All in all, this is a great property for the money and we would stay here again! We had a great time. 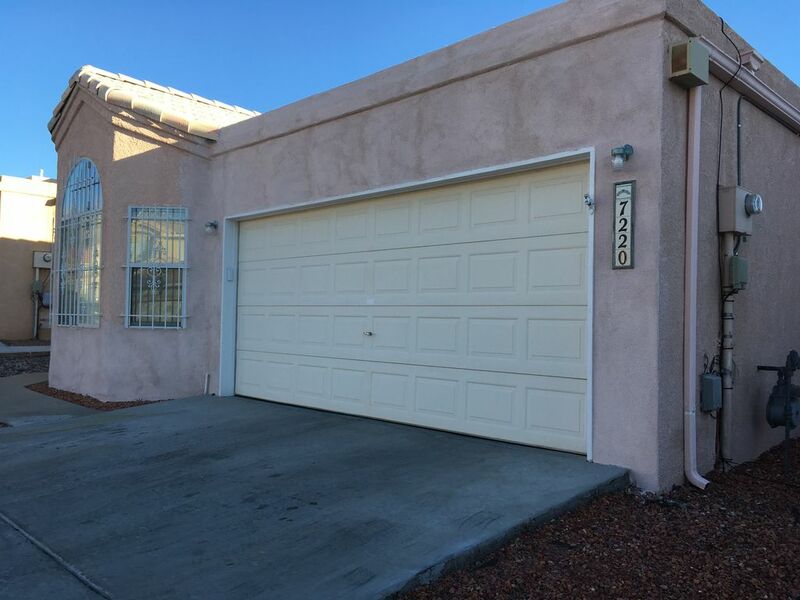 Very clean and located near all the hotspots in ABQ. Very Safe and Senior Oriented Neighborhood. Additional one time cleaning fee of $50.00.